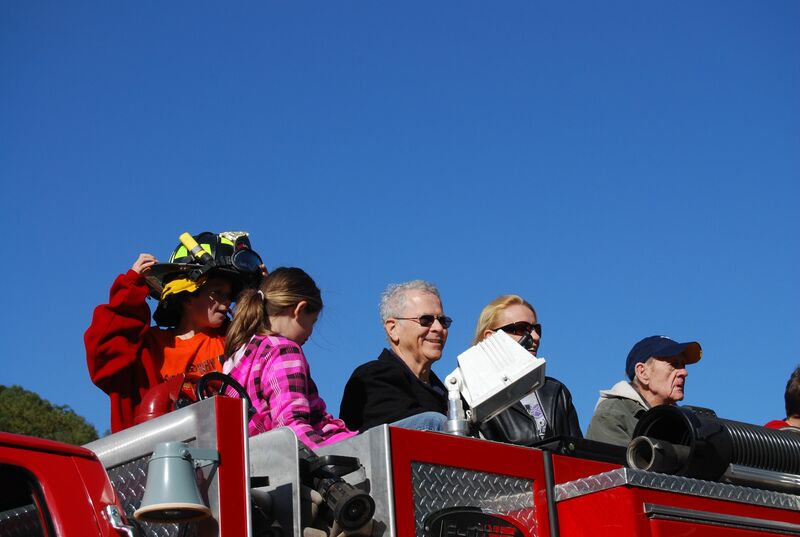 The 2011 October Sky Festival was the last October Sky Festival held in Coalwood. We leave this page as it was in 2011 for historical purposes. The original October Sky Festival, and where it all began! original Rocket Boys in attendance! Details on the festival are below on this page. Filming location of many of the scenes for the movie Rocket Boys/October Sky. See the Oliver Springs web site for details. COALWOOD, W.Va. –The stars of the hit cable series “Coal” on Spike TV will appear as this year’s VIP guests alongside Homer Hickam and The Rocket Boys at this year’s October Sky Festival Saturday, October 1st, in the tiny hamlet of Coalwood, in McDowell County West Virginia. The town was immortalized in the film “October Sky,” which is based on best-selling author Homer Hickam’s novel “Rocket Boys”. “Coal” debuted to huge fanfare and ratings in March 2011, delving into the world of coal mining and the miner’s lives in and out of the mine. The show is based on the real life mining operations taking place at Cobalt Coal’s Westchester Mine just down the road from Coalwood in McDowell County, West Virginia. On the series, real life miners are followed throughout their workday, revealing the trials, tribulations and benefits of working as a coal miner in West Virginia. “The ‘Coal’ reality series gives a human face to the hard working folks in the coal industry, and we’re very proud to have them as a part of this year’s October Sky Festival,” said Hickam, whose story has been inexorably linked to the West Virginia coal industry. Hickam’s “Coalwood” trilogy of books were set in and around coal mining, and his novel “Red Helmet” featured a story set in a modern day West Virginia mine. Previous years VIP guests have included “October Sky” cast members Scott Miles (Jim Hickam) , Natalie Canerday (Elsie Hickam) and Randy Stripling (Leon Bolden) along with NASA Shuttle astronauts Thomas Jones and Bill Readdy. Rocket Boys Roy Lee Cooke, Billy Rose, O'Dell Carroll and Hickam will also gather for the October Sky Festival in their hometown of Coalwood WV, where they’ll join the “Coal” TV show cast members in mingling with attendees, posing for photos and signing autographs throughout the day. Cast members from “Rocket Boys The Musical” are also expected to attend. The musical adaption of Hickam’s memoir recently completed a very well received two week run with Theatre West Virginia, and is being prepped for Broadway. Coalwood is located in the beautiful, rugged mountains of southern West Virginia. Many of the structures from 1950s-era Coalwood, which were pivotal to the book and movie, are still standing, including the massive miner’s clubhouse, Hickam’s boyhood home and the machine shop where Hickam and the boys received help from local mine machinists in building their rockets. This year’s festival will include a kickoff parade featuring Hickam, the Rocket Boys, cast members from “Coal”, Dreama Denver, wife of late “Gilligan’s Island” star Bob Denver, and others, rocket launches by student groups from across the USA at Cape Coalwood, the Bluestone Classic Car Show, the Coal Museum, a Coalwood school reunion, guided trolley tours of Coalwood, and kids’ activities in and around Cassell Park (the official Coalwood Rocket Boys playground, which features a replica of a NASA shuttle). The October Sky Festival always includes delicious homemade cooking from Coalwoodians and a festive family atmosphere all day near the height of fall foliage in beautiful West Virginia. Hickam and the other Rocket Boys will be signing copies of his best-selling books throughout the day in downtown Coalwood. Several other notable authors with ties to the area will be on site signing their books as well, including Ms. Denver, who returns for a fourth year to the festival. Ms. Denver will also host her popular radio show heard locally on 93.1FM in Princeton, WV and worldwide at www.littlebuddyradio.com from the festival. In past years, thousands of fans from all over the country have converged on Coalwood for the festival, including busloads of students and fans eager to meet their heroes and see the locales featured in Hickam’s “Coalwood” series of books “Rocket Boys”, “The Coalwood Way”, “Sky of Stone” and “We Are Not Afraid”. Hickam is also the author of several other best sellers including the “Josh Thurlow” three book series of WWII adventures, the space thriller “Back to the Moon”, “Red Helmet,” a fiction novel set in the modern-day West Virginia coalfields and “My Dream Of Stars”, co-written with Anousheh Ansari and released in March of this year. Hickam’s books will be available for purchase at the festival, with proceeds benefitting the nonprofit Cape Coalwood Restoration Association, and are used to help fund the tiny town’s youth activities and upkeep. Opening ceremonies for the 2011 October Sky Festival begin at 10 a.m. Saturday, Oct. 1st 2011, on the clubhouse steps in Coalwood Main, and the festival continues until 6 p.m. Coalwood is located on W.Va. State Route 16, eight miles from the McDowell County seat of Welch and about an hour from the city of Bluefield. More information is available about the 2010 October Sky Festival at http://www.homerhickam.com/coalwood. Homer Hickam will be available for in-person media requests Thursday September 29th and Friday September 30th in Charleston, Huntington, Beckley and Bluefield WV and Saturday October 1st on site at the festival in Coalwood. Contact Burke Allen at (703) 589-8960 or email burke@allenmediastrategies.com to request interviews or media credentials. The schedule for the October Sky Festival is the same each year. Please scroll down the page for details. Have a great visit to Coalwood! Interested in Being a Vendor at the October Sky Festival? The non-profit Cape Coalwood Restoration Association [based in Coalwood] has special October Sky Festival souvenirs available. Magnets, key chains, mouse pads, coffee mugs and specially stamped and author-autographed copies of books are available. These may be purchased in person during the Festival, or they may be ordered by mail. The CCRA also rents booth space at each of the October Sky Festivals. A scene from a recent October Sky Festival! If you need information or help during the October Sky Festival, please look for a member of the CCRA. They will all be wearing yellow shirts with "Cape Coalwood Restoration Staff" on the front. If you are a student or teacher, plan to arrive in Coalwood around 8 a.m. (Otherwise, plan to arrive in Coalwood around 9:00 a.m.) Be sure to leave enough time to get to Coalwood from where ever you are staying. If you are in a hotel in Bluefield, for example, the trip can take you from 1 hour to 1.5 hours. Remember to follow all speed limits! Homer Hickam and the Rocket Boys will hold a "meet and greet" at Cassell Park in Coalwood for all students and teachers starting at 8:30 a.m. This is usually a question/answer session and pictures. The parade will leave the park at 9:30 a.m., coming back up to the festival site at Coalwood Main (the Clubhouse). Please note: the location of the meet and greet may be different in 2011. We will update this information in September 2011. Avoid parking in front of the Clubhouse, and Coalwood Community United Methodist Church. Avoid parking on Snakeroot between the Clubhouse and Coalwood Community United Methodist Church. (Too much traffic and too many people. Plus the tour buses will be parking in these areas. There will be Porta-Potties behind the Coalwood United Methodist Church on Snakeroot. There is also a small bathroom beside the Coalwood swimming pool, but it doesn't offer a lot of privacy once you are inside. We recommend your bringing along some moist towelettes to wash your hands during the festival. or bring your books from home. There will be a tent set up in front of the Coalwood Community United Methodist Church selling copies of Homer's books. If you'd like to get Homer (and the other Rocket Boys) to autograph your book, you may buy a book here. You may also bring your own copies from home and get them autographed. Important: At (or next to) this tent, someone from the Festival Committee will be handing out numbered tickets to get your books autographed. Again, you don't need to buy your books there, but you will still need to get a ticket. The tickets are free; just ask for one. Later in the day, Homer and the Rocket Boys will sign autographs in numerical order by ticket number. Since the book signing goes on all day, this system allows you to do other things without having to stand in line all day. There will be many booths set up around the Clubhouse and Coalwood Community United Methodist Church. Normally, there are representatives from NASA, and Space Camp USA. (Sometimes you'll even find real NASA astronauts!) You'll also find booths selling food and drinks along with souvenirs. At 10:00 or shortly before or shortly after, there is a small parade on Main Street. You'll usually see the Coalwood fire truck, a McDowell County ambulance, and then the dignitaries (Homer, Linda, the Rocket Boys, local politicians, etc.) arrive. front porch of the Clubhouse. The dignitaries are let out in front of the Clubhouse. They climb the steps onto the front porch and welcome-speeches are made. front porch of the Coalwood Community United Methodist Church. Also, after the speeches, live music begins from the Clubhouse porch. You can expect singers, musicians, and a lot of dancing in the street. Now is the time to visit more booths. Lunch in the basement of the Coalwood Community United Methodist Church. About this time, the Coalwood Community United Methodist Church starts serving lunch in the basement of the church. (Enter through the door that faces the Clubhouse and go downstairs.) Lunch includes typical Coalwood food like fried chicken, mashed potatoes and gravy, cornbread, brown beans, drinks, rolls and dessert. You can walk around town and talk to many local Coalwood residents and explore the Coalwood sites you've come to know and love from the books and movie. You'll also have a chance to meet visitors from all over the country who have come to Coalwood just for the festival. A shuttle bus will pick you up near the Coalwood Community United Methodist Church and take you to Cape Coalwood where a local rocket club will be shooting off rockets all day. Have a great day in Coalwood!